Chocolate whipped cream is a genius recipe. Nothing more than dark chocolate, heavy cream, milk, and sugar. 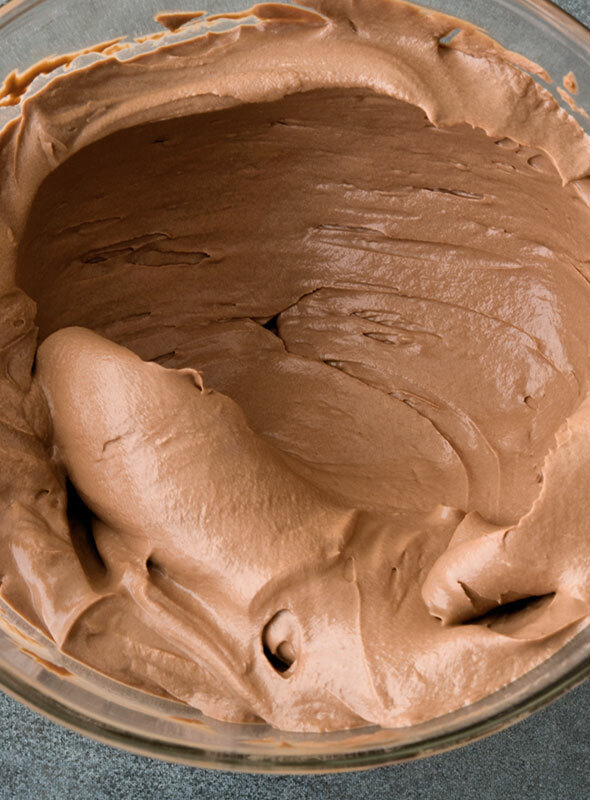 What results is a lot like chocolate mousse and can be used as frosting or savored by the spoonful. 1. Finely chop the chocolate, preferably with a chef’s knife, and then transfer it to a heatproof bowl. 2. Combine the milk, cream, and sugar in a saucepan and bring everything to a gentle boil. Pour the hot liquid, about 1/3 at a time, over the chopped chocolate, stirring with a wooden spoon or a spatula after each addition, to obtain a smooth mixture. Mix briefly with an immersion blender or a whisk until the chocolate is completely melted. Cover the mixture with plastic wrap pressed directly against the surface of the cream. Refrigerate for 24 hours. 3. The next day, use a stand mixer fit with the whisk attachment or a handheld electric mixer or blender to beat the cream. You will notice that the first few turns of the whisk will liquify the chocolate whipped cream mixture. Don’t be alarmed—this is normal. As you continue to whip the cream, it will begin to take on a lighter, thicker texture much like chocolate mousse. Slather the chocolate whipped cream on cake, spread it atop brownies, dollop it alongside berries, or simply grab a spoon and have at it. I figured this chocolate whipped cream would be like regular whipped cream but chocolate-y. It turns out it is something very different. Surprisingly thick for whipped cream, it reminded me of a thick chocolate mousse. I used a whisk to mix the ingredients instead of a hand blender. In step 4 of the recipe, I used a handheld mixer, which took about 4 minutes to whip the cream. Next time, I might try adding a little vanilla to the cream. As much as I enjoyed the chocolate taste, I was wanting a little of that traditional vanilla whipped cream taste as well. I ended up serving this chocolate whipped cream alongside pound cake and it was delicious, though a bit dense overall. I think this would go great with some fresh raspberries or strawberries or a vanilla sponge or genoise cake. With a little planning and preparation, I can have at the ready this chocolate whipped cream that doubles as a frosting or a dessert. The result is so delicious it can be eaten on its own as dessert. I am not the best chocolate chopper in the world, so it took me about 10 minutes to chop the chocolate. Heating the milk, cream, and sugar to boiling took another 10 minutes. My immersion blender made quick work of combining the chopped chocolate with the heated cream to get to a homogeneous state as directed in the recipe. I chilled it for 24 hours with the plastic wrap pressed against the top of the cream. I used my hand mixer, and it took about 3 minutes of blending to get the consistency of chocolate frosting with the flavor of chocolate mousse. You can whip up this chocolate whipped cream in virtually no time at all. I didn’t really see the point of the initial brief blitz, as you're going to use a much more powerful blender on the second day and presumably whisk it until you're happy with the consistency, making up for any lack of whipping on the previous day. You could use chocolate with different flavorings, such as orange, for a twist. I served the chocolate whipped cream with a warm sponge cake so that the cream melted into it. Chocolate Whipped Cream Recipe © 2014 Vincent Lemains, Julien Christophe and Noëlle Hoeppe. 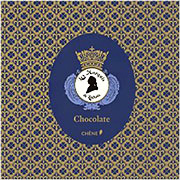 Photo © 2014 Ladurée. All rights reserved. All recipes and photos used with permission of the publisher.